What IS ''SE'' ? Well we've been asked that question a number of times. 1. "SE" also records SOUND to your Disk using a windows compatible sound card. Each individual transmission is 'databased', so that you can selectively play back a single recording. Record everything as it occurs, or with our "'Pick List'' of frequencies you can selectively tag only the frequencies you want and eliminate all the 'chit chat'. 2. SE gives you unlimited abilities for 'spectrum analysis' ( See sample screens below ). Over 6 Graphical methods can be displayed on the screen (up to three at a time) to do detailed signal analysis. If it isn't in this analysis, we just haven't thought of it yet ! 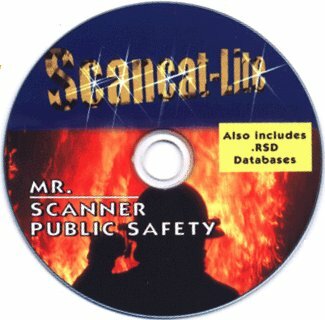 ....See our Scancat for Windows DEMO at the below site for a 'test drive'.